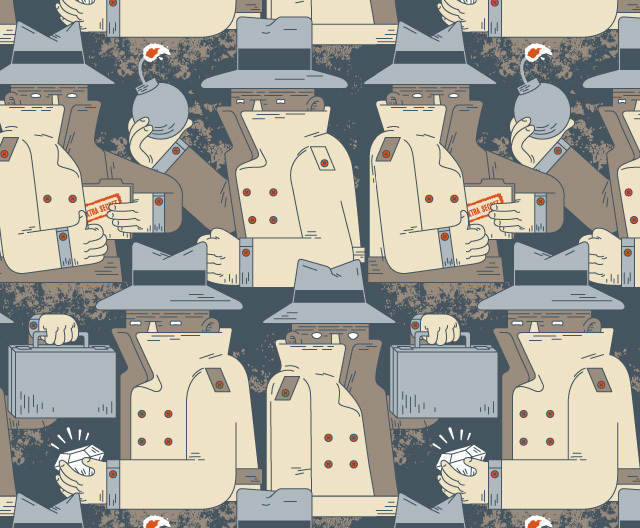 A major intelligence bill passed into law recently in New Zealand by the skin of its teeth. On the way, its path had been befuddled by domestic politics, entangled by the concerns over America’s National Security Agency’s gulping of huge amounts of personal information, and beset by enough administrative mistakes to make a passable TV series, though one closer to comedy than to ‘Homeland’. The Government Communications Security Bureau and Related Legislation Amendment Bill , which clarifies the legal framework of the Government Communications Security Bureau (GCSB) and is intended to increase oversight of New Zealand’s intelligence agencies passed by 61 votes to 59  with the National Party, United Future, and ACT New Zealand in favour of the bill, while the Labour Party, Green Party, Maori Party, Mana and NZ First opposed it. The Labour Party didn’t, in the end, give the traditional support expected from major parties on intelligence matters. The Government Communications Security Bureau is a government agency whose role is to contribute to New Zealand’s national security by providing information assurance and cybersecurity, foreign intelligence cooperation, and assistance to other New Zealand government agencies. Among its facilities is a satellite communications station at Waihopai, near Blenheim in the South Island. It is a signals intelligence site. The GCSB has existed for a long time; the Waihopai facility was established during the time of the Lange government in 1989. David Lange was somewhat indignant about the protests over its establishment, arguing that New Zealand needed its own facilities after the country was cut off from US Intelligence because of the nuclear-free policies. The site has continued to attract protests. Unlike Australia’s Intelligence Services Act , which contained provisions for ‘incidental collection’ of Australians’ communications and a set of privacy provisions with exceptions , no provision was made for the interception of the communications of New Zealanders. The present amendments to NZ’s legislation bring it more into line with Australia’s laws. The revised Section 14 includes the rider ‘… unless (and to the extent that) the person comes within the definition of foreign person or foreign organisation in section 4’. It also has provision for incidental collection. These changes came about after a police raid on the premises of Kim Dotcom, a German-Finnish entrepreneur currently residing in NZ and founder of a website called Megaupload. Wanted in the US to face charges of copyright piracy, the NZ police accessed information collected by GCSB before armed police raided his house as part of a US probe into copyright piracy. However, as Kim Dotcom had NZ residency, the act was contrary to the 2003 law. The Prime Minister, John Key, who is also the minister in charge of the security services, eventually apologised to Mr Dotcom. In the wake of the Dotcom affair, the Government established a review of GCSB activities  (PDF). Known as the Kitteridge report, it questioned the lawfulness of GCSB intelligence collection activities, involving 88 New Zealanders, in support of NZSIS and police operations. However, this report was leaked to a journalist, resulting in an inquiry. During the inquiry, emails and phone call logs between a Minister and the journalist, as well as those of other cabinet ministers, were released without appropriate authorisation . Since the release of the Kitteridge report, government agencies, including the police, refused to use the GCSB without further legal clarification. As a result, the Key government then rushed through the legislation, pausing neither to get Labour on side, nor to write the legislation in such a way that it would assure New Zealanders that their privacy would not be constantly breached. The updated legislation makes it legal for the GCSB to spy on New Zealanders if a warrant has been obtained, causing outrage among some New Zealanders. The Law Society, Human Rights Commission and the Privacy Commissioner also made submissions recommending that parts of the bill be changed. Other critics have included Sir Geoffrey Palmer,  a former Prime Minister and distinguished constitutional expert. Under the new law, in most circumstances spying on New Zealanders would require a warrant from the independent commissioner of security warrants and from the Prime Minister. However, in cybersecurity matters, approving interception warrants of New Zealanders is a two-step process, and a warrant to view content requires the consent of the question in person, unless there was a good reason not to seek it. The Prime Minister has given some verbal assurances about how he would interpret his role, though the legislation is not as specific, which leaves open the possibility of a future Prime Minister being less fastidious. He also sought to downplay public disquiet, arguing at one point that New Zealanders were more interested in snapper fishing quotas. Another bill, the Telecommunications Interception Capability and Security Bill, will require all telecommunications companies to have their equipment purchases checked by the GCSB to make sure that interceptions are possible. Despite similar provisions being in place in other countries such as Australia, New Zealanders suspicious of the updated GCSB legislation are unlikely to be reassured by this proposed new law. Watch this space. Stuart McMillan is an adjunct senior fellow in the School of Social and Political Sciences at the University of Canterbury. Image courtesy of Flickr user ocularinvasion .